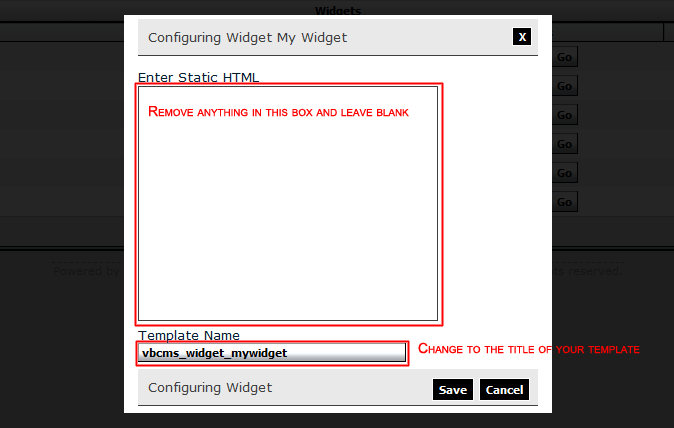 In this tutorial I am hoping to enlighten many in wondering how to do their own custom widget without confusion. Lets begin, keep in mind that this is explained on how I did it and if you have questions with any aspect explained or not then just ask, I will gladly answer. With this step you want to create your widget first, I prefered to create the widget first as it seemed logical but you can rearrange the steps once you are used to the system. Click Create Widget at the bottom of this new page. We now have a new page with boxes for: Widget Type, Title, and Description. Lets get the boxes filled in. Description: Make the description explanatory of what this widget does. Click Save to create your new widget. The new page will load, on this page you have a list of layouts you have created or default layout. Find the layout you want to have this widget appear on and click GO next to the dropdown that is in line with your layout you have chosen, make sure Edit is selected from the dropdown. From the box to the left, you will see all available widgets that have been created. Select your newly created Widget and click the > that is the right of that box. Once you have added the widget, a new box will appear with your Widget's title, mine is titled My Widget. You can click the darker bar with your widget title in it to move it to which ever column you choose. Then click Save at the bottom to save the location. Head back to your left menu and click on Widgets. 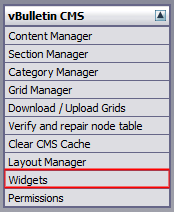 When the page loads, find your widget and at the far right click Configure as the screenshot shows below. A box will popup and turn the background black. In this new window or box do the following. Template Name: Enter the name of your template you plan to create for use with this widget. On that page, find the style you want this widget to appear with, then from the drop down to the far right choose Add New Template. When the Add New Template page loads fill the boxes as listed below. 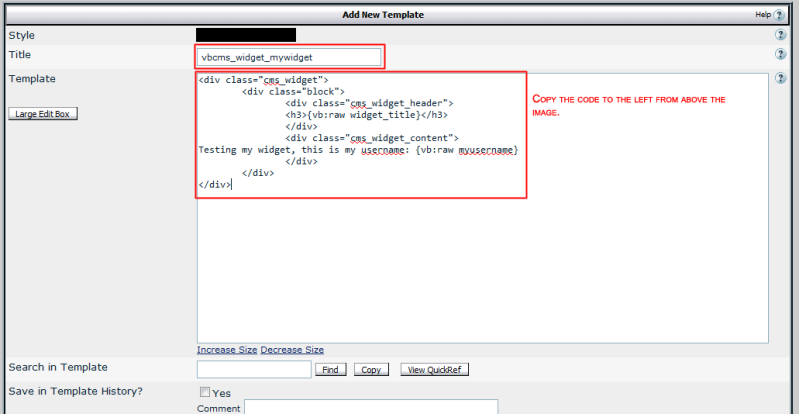 Title: Enter the name of your template, it is the same name that you entered when configuring your widget in Step 3. Template: Enter the following html into this area. 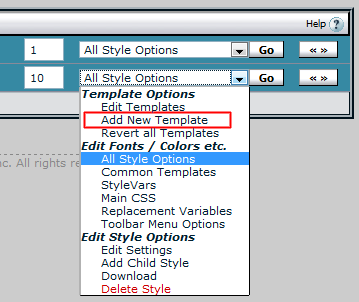 Click save once you have entered the template info. On this page, fill in the boxes as provided below. You are done. Now load your page and view your widget in action.